Gardening expert Melinda Myers shares sage advice on incorporating both elevated and unique container gardens into the landscape this year. 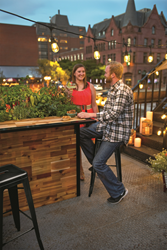 Plant A Bar, a reclaimed wood outdoor bar with integrated planter allows guests to add a bit of homegrown flavor to their cocktails. Photo courtesy of Gardener's Supply Company. It’s a fun way to add extra interest, a focal point, or simply a conversation piece to the landscape. Perk up containers and add a bit of sparkle to the landscape with bright colors, unusual materials or a unique purpose. “It’s a fun way to add extra interest, a focal point, or simply a conversation piece to the landscape,” said Melinda Myers, gardening expert, author and host of The Great Courses “How to Grow Anything” DVD series. Include an elevated garden to increase planting space and make planting, weeding and harvesting easier on the back and knees. Liven things up with a robin egg blue VegTrug™ or washtubs elevated on a support for a bit of rustic charm. 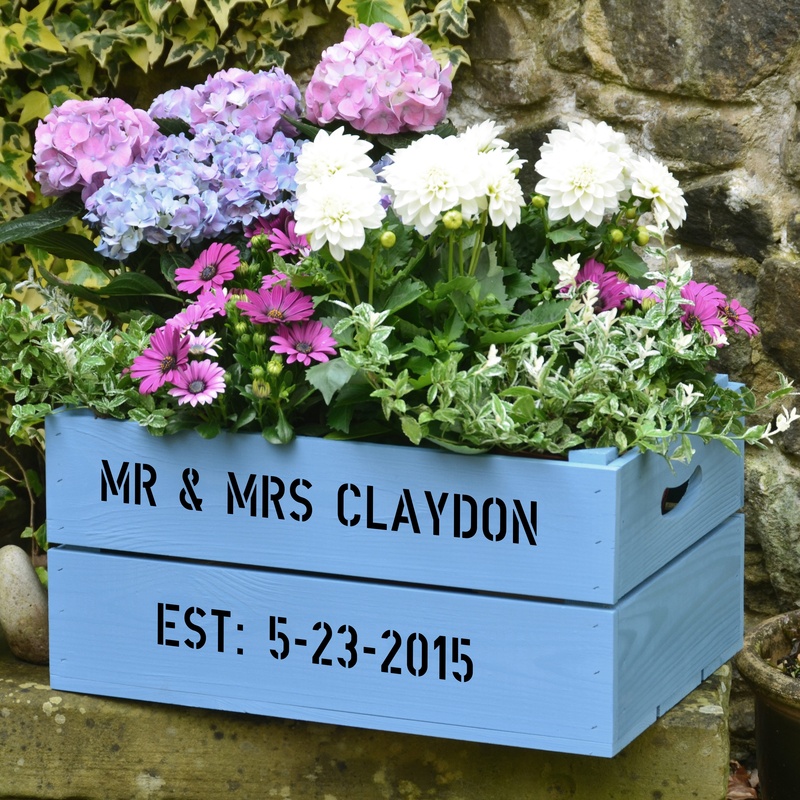 Recycle items into containers or invest in some of the new planters made from galvanized metal, wooden apple crates and more. Look for new colors or personalize them to create a warm greeting for family and guests. Save space with sleek designs and built in trellises. Grow pole beans, tomatoes and flowering vines in a compact space. The colorful flowers and fruit will brighten a blank wall or screen a bad view. Use containers and elevated gardens to increase the fun factor at summer gatherings. Start off the party with a trip to the outdoor bar. Weather-resistant butcher-block with built in planting space is sure to get the conversation going. Gardener's Supply Company is offering a new reclaimed wood outdoor bar with an integrated planter called “Plant A Bar.” Fill the planting space with some favorite cocktail herbs. Then mix up your beverage and let guests add a bit of homegrown flavor. Include the next course by growing a salad bar. Guests will enjoy harvesting and creating their own bed of greens to accompany the main course. Fill a pot or elevated garden with greens, radishes, onions, carrots, herbs and any other favorite salad fixings. Keep containers healthy and productive with proper care. Water thoroughly whenever the top inch of soil is dry. Check pots daily and water as needed. Extend the time between watering with self-watering pots. Look for features such as weep holes that allow excess water to drain, funnels for top watering, and moisture indicators that let the gardener know when it is time to add more water. Harvest regularly to keep vegetables producing and looking their best. Replace early plantings as they fade with a second crop. This will provide an extended harvest and enjoyment. So take a second look at the patio, deck or front steps and move in a bit of color, fun and flavor for this growing and outdoor entertaining season.